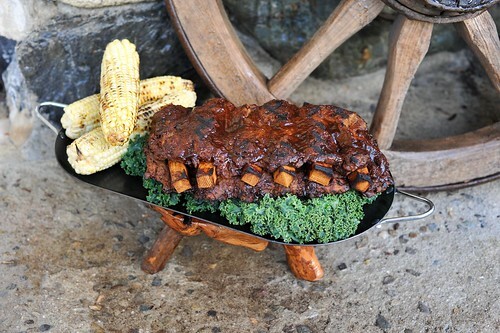 oh my goodness I had to look twice those ribs looked real! It all looks so good..
Amazing! Im making some of this for dinner tomorrow night! Made these crumbles for pizza last night. I've been known to make pizza with "sausage" style TVP before, but these crumbles were above and beyond! Your spice mix is amazing and RIGHT ON! Sure to be a staple, not seeing many pizzas in my future without it. 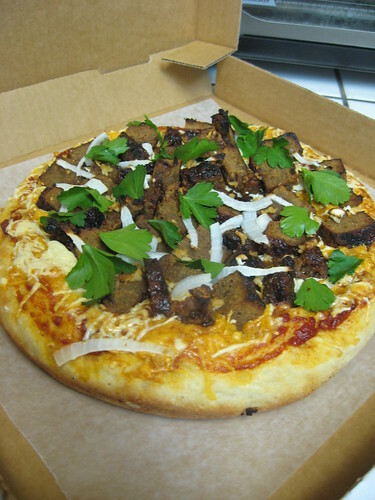 I intend to give Celine's pepperoni seitan crumbles a whirl too as well as revamping the seitan pepperoni from Vegan Vittles with your spice blend. hooray for Perfect Pepperoni and PERSONAL INJURY LAWYERS! celine, you are too much!!! i love you. Oh, my, goodness. I must make the pepperoni pizza! Fabulous looking pizza! Okay, I just want make sure I'm getting this clear....You add the water, liquid smoke, and oil before you microwave, then at the end you add it and more spices again? Is this just for you taste preferences and consistancy? I'm new to veg. cooking and found your website this morning. Glad I did, the recipes look great! Add spices, oil, and liquid smoke to the bowl, mix, add boiling water, cover, and let stand. I have just made the tvp mix (using ready-made veggie ground beef) and I am blown away by how good it tastes! I haven't even cooked it yet, just tasted it after I finished mixing in the spices. Amazing! Hi Joni. 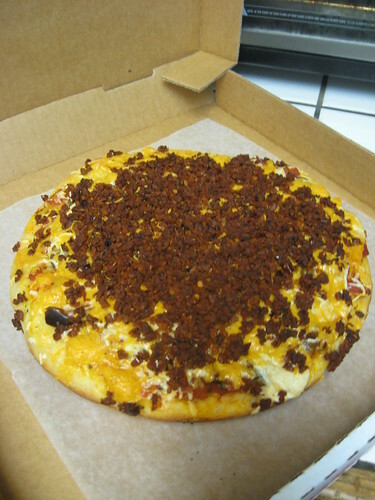 After the TVP pepperoni topping is made, do they bake with the pizza or go on after the pizza is baked?